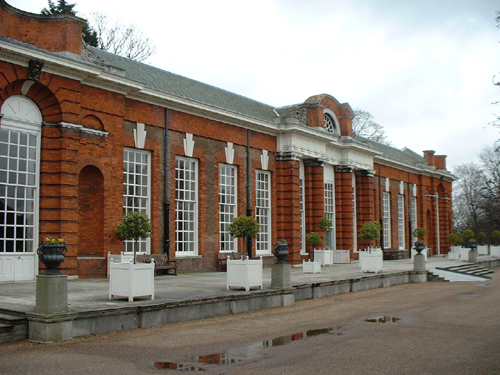 The Orangery at Kensington Palace was designed for Queen Anne by Hawksmoor in 1704. The level of decoration of the interior, including carved detail by Grinling Gibbons, reflects its intended use, not just as a ‘greenhouse’ but as a ‘summer supper house’ and a place for entertainments. Over the years I and my team at Papers and Paints have carried out various colour-related tasks here. The first concerned the wooden aprons that had been built around the bases of the statues at either end of the building. 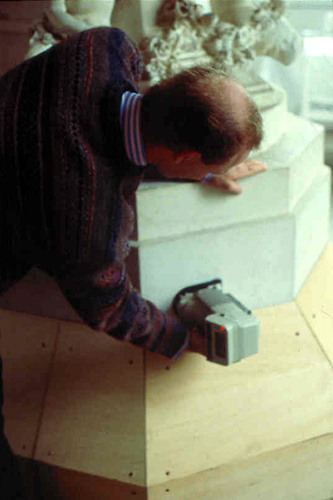 These had been installed to protect the Portland stone bases, which were becoming marked and were in danger of being damaged. I was asked to produce paint that matched the colour of the stone. I did this by taking a series of measurements and then matching the average. On another occasion I was asked to match the existing pale stone colour of the walls to enable seam-free maintenance. 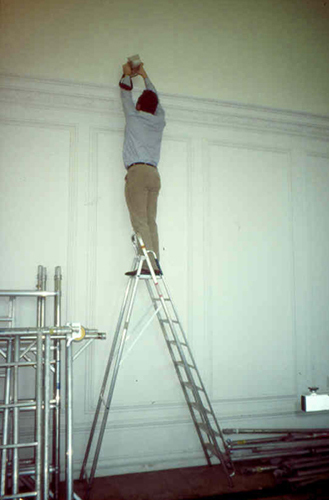 I have also worked in Kensington Palace for many years and has supplied paint for the interior and exterior.